Having taken a detailed analytical look at the 2014 Kona Men's Pro field, Tri247 Editor John Levison puts the crystal ball predictions on hold to see if the same statistical approach can help pick a Ladies Ironman World Championship 2014 winner. Can history guide us? As with the analysis of the Kona Pro Men, I wrote an article very similar to this about the Pro Women two years ago, and it generated quite a debate - good, bad and indifferent! But, ultimately, I suppose it proved 'correct' in one sense - in that it said, based on the data reviewed, one of only four women could win Kona in 2012 (based on this analysis only...! ), and one of those - Leanda Cave - did win. Let's run the same numbers and approach - with a few additional upgrades - to see if it applies to 2014 too. We'll only know that early on Sunday 12th October, UK time. "The three best stretches", "the five steps to a faster bike split", "the seven ways to improve your running"...etc. Magazines, websites, books - they (we...) all do it. It grabs the attention, it provides a focus, it 'seems' as if any particular topic can be summarised in a bullet point of any particular number the author chooses. It also provides, to the unaware at least, a sense of certainty as if putting a number on a topic it makes it "true". Of course, it rarely if ever does! And yet, in one sense at least that's what I've done/am doing here - except, I can promise that the 'Five' in the title was the very last word I wrote. Only when I got to the very end of this analysis could I come up with a number I was happy with. Let me explain. Later this week, Saturday 11th October to be precise, the 2014 Ironman World Championships in Kona will be run and won. That means of course that the triathlon world - athletes, media, fans, coaches - will start the annual prediction-fest for the Kona podium. Is Mirinda Carfrae unstoppable? Can Rachel Joyce make the final step? Will Daniela Ryf continue crushing everything in her path? And on, and on. And, that's great. It's fun, and it's not an insignificant part of what I've done myself on Tri247 over the last seven or more years. Every year I hear that it's 'the strongest field ever' or 'the most open race' or 'difficult to predict, any one of 15 or so could win'. But... I think that's rubbish. I wanted to see if there was anything from history that would be a great pointer towards forecasting the Kona future, to try and take (mostly at least), opinions out of the equation and use what I suppose scientists might call, an 'evidence based approach'. How many, and who of the women's start list for Kona 2014 can WIN the Ironman World Championship this year? That word 'WIN' is very important here. For this analysis, I'm not assessing who can be competitive, or who can impact the race, or who could make the podium - it's solely focussed on identifying the potential winners. Ignoring the "past performance cannot be used to predict future performance" warnings of an investment commercial, I'm going to try just that. Ok, so presented above is a table showing the winners of the Ironman World Championship over the past 25 editions. What is also shown is what their previous best Kona result was, prior to winning that year, along with the year that they achieved it. In addition for 2014, I also show what their result was 'last year' in the next column. For example, when Lori Bowden won her first title in 1999, her previous best performance was second (in 1997 & 1998). When she won again in 2003 her previous best was, of course, winner but her 'previous year' results was third in 2002. Over the past 25 years only ten different women have won an Ironman World Championship. Of those, six of the ten (60%) are multiple Kona winners. Turning it around - Leanda Cave, Michellie Jones, Heather Fuhr and Karen Smyers are the only winners in the past 25 years NOT to have (yet, perhaps, in the case of Cave), gone on to win in Kona more than once. In the last 25 years, only one athlete (Chrissie Wellington 2007), has won on their Ironman World Championship debut. As one of the greatest athletes in the history of the sport, that indicates evidence that a debut win for anyone is a very tough proposition. Excluding that 2007 performance from Chrissie, Heather Fuhr (winner in 1997) is the only first time champion that hadn't previously finished on the podium. Fuhr's previous best was 6th in 1993. All of the other six first time winners had previously finished on the Kona podium. Extending that even further, Leanda Cave's victory two years ago represents the only other first time winner that hadn't previously finished second ...something Karen Smyers, Natascha Badmann, Lori Bowden, Michellie Jones and Mirinda Carfrae all managed before taking the final step to the top of the podium. Of the six athletes who finished in the top three and then went on to win for the first time during this period, five (83%) did so the following year. Even the other (Natascha Badmann who won for the first time in 1998, previous best 2nd in 1996), only had two years between second place and winning. 17 of the 25 years (68%) reviewed were won by previous or defending champions. 96% of Kona winners in the last 25 years (everyone except Chrissie in 2007), had previously finished sixth or better. 92% of Kona winners in the last 25 years (everyone except Chrissie in 2007 and Heather Fuhr in 1997), had previously finished in the top three. 88% of Kona winners in the last 25 years had previously finished either first or second. You need to be exceptional - only ten different women have left Kona as Ironman World Champion in the past 25 years. Make sure you've won it before! Not many ladies have won even once; and most that did went on to do so again (and again...). If it all possible - and it isn't your debut race - you'll probably need to have finished second before. It can be done (Heather Fuhr, 1997 - previous best of 6th, Leanda Cave, 2012 - previous best of 3rd), but your chances fall away drastically if you haven't. Once you've got that top finish on your CV - ideally second place - try and win it the following year if you can. A debut win is possible (once in 25 over the last quarter of a century), but a first time out Kona win is very difficult. Mirinda Carfrae has finished 2nd / 1st / 2nd / 3rd / 1st on her five visits to Kona over the past five years. 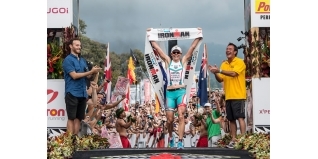 Add in a summer victory at Challege Roth, and Mirinda will certainly start as the bookies favourite to take her third Ironman World Championship title. The only negative? It's five years since a female champion defended her title in Kona. Natascha Badmann's last victory in Kona was nine years ago, and she'll be 48 years old in December. A 2014 Kona winner? She's still a class act, but no. Leanda Cave - after finishing third in 2011 and taking the win in 2012, Leanda's defence of her title faltered last season to 13th Pro women as a season of injuries and illness prevented her showing her true abilities. Of late, her form has been superb - winning Ironman Kalmar (Sub-9), Ironman 70.3 Cozumel, second at the Ironman 70.3 European Champs in Wiesbaden and third at 70.3 Boulder (to Jodie Swallow and Rachel Joyce). A recent winner in Kona, she has to be a contender. Ok, let's - initially at least - look at top three finishers. I've noted above that there is a very strong link between having previously finished at least second and then winning Kona, but Leanda Cave did win with a previous best of third in 2012. Where does that leave us? Rachel Joyce has finished 6th / 5th / 4th / 11th (illness!) / 2nd in her five Kona starts. Her best finish was last year and there's only one step left for her to reach the summit. Yes, Joyce is a serious contender for the win this year. 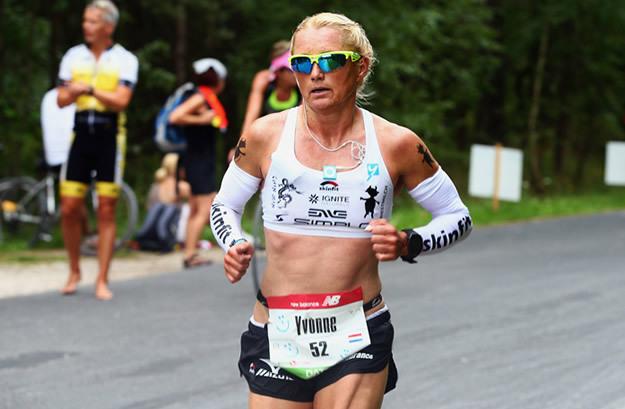 Yvonne Van Vlerken had her best Kona result for several years with fourth in 2013. Still, six years since her best Kona finish - statistically - rules her out of this anaylsis in terms of predicting a 2014 winner. Can anyone else win? Well, Heather Fuhr took her first win after a previous best of 6th. That's only happened once in 25 years, but, let's take a look and see if we can add any others into the mix by expanding this analysis. Caitlin Snow has finished 8th / 9th / 9th / 6th over the past four seasons - that's strong form (and she always brings a strong run), but enough to put forward as a potential winner this year. I don't think so, stats suggest she'll need to first break on to the podium before targetting top spot. For Corbin and Keat, their best Kona finishes were six and seven years ago respectively - so for that reason alone, they don't get through the 'stats test' as potential 2014 winners in Kona. It can be done, as proven by Erin Baker and Chrissie Wellington, but as with the men, an Ironman World Championship win at the first attempt is a seriously tough task. Looking at the women's start list, is there anyone there that could possibly buck this trend? Who is the most likley newcomer to spoil the party? With the late withdrawal of Melissa Hauschildt, one name stands out - Daniela Ryf. 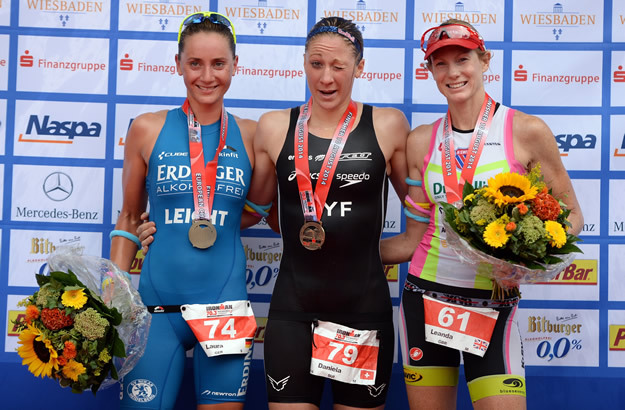 Ryf has been in stunning form during the second half of the season, with Ironman wins in Switzerland and Copenhagen (the former achieved after racing and winning the European 5150 Champs the day before...) Ironman 70.3 Switzerland, plus the European and World Ironman 70.3 Championships. She also has coach Brett Sutton on her side - who guided Chrissie Wellington to her debut win in 2007. All things considered, ruling Ryf out on the basis of it being a 'debut' seems flawed given such a CV over recent months, and hence Daniela Ryf must be included here, despite history suggesting the task is a very tough one.